The advent of quadcopters impacted RC aircraft enthusiasts, hobbyists, film-makers, videographers and even photographers. The FPV offered by a camera or videocam attached to a qudcopter opened a whole new perspective on how one sees the world around him. 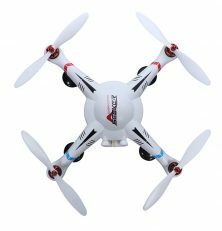 Various manufacturers flooded the market with various types, sizes, capacities and prices of quadcopters. Some brands even made clones of popular brands. WL Toys came out with another affordable quadcopter model called the V303 Seeker. 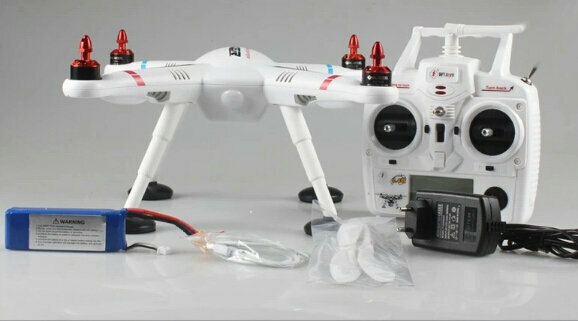 The WL Toys V303 is practically all-white, from the packaging to the quadcopter itself. The box contains a Seeker quadcopter, 2.4GHz LCD radio, 1x 2S/3S Lipo Charger, 11.1V 2700mAh 25C Lipo battery, a USB cable and micro hex drive and an instructions manual. The plastic frame is rigid and presents no vibration. The actual gross weight of the Seeker is 0.96 kg and an overall dimension of 27.4 x 27.4 x 19 cm. The Seeker features a 4-channel radio control and a 2.4 GHz remote control with a built-in LCD display and a control range of 500 meters. It has a built-in Gyro for easy flying. Night flight is permissible. There are two Modes – photo and video functions. The V303 is powered by a built-in rechargeable battery with 13-15 minutes flying time recharging time is from 60 to 100 minutes. On the transmitter’s left is a 2-position switch labeled “heading to lock” triggers the compass. The on the right shoulder labeled “Turn back” controls the return-to-home function. The throttle is self-centering since a barometer is used to maintain its altitude. One of the buttons on the transmitter triggers the camera as a GoPro camera mount is included. Though the transmitter’s stick is somewhat light, it nevertheless responds smoothly. The LED will flash a green-red-green-red sequence when the quadcopter is ready for flight. It one toggles the “heading to lock” three times, the LED turns to solid green. While the V303 is level, rotate it horizontally at 360 degrees. When done, toggle the “heading to lock” three more times. Next, rotate the quadcopter vertically at 360 degrees then place the quadcopter on a flat and level surface and wait for the LED to indicate that the V303 is ready for use. A little throttle is needed to initially fly the V303. As the throttle is upped a notch, the V303 took off and stated to climb out of ground effect. The throttle is pushed until the quadcopter reaches the flight height. Its 6-axis system makes it possible to fly left and right, crab fly, 360 and hanged fly. The quadcopter registers its last heading before each take off as “forward” with the copter heading towards the said direction when the elevator stick is pushed away from the user. If the V303 flies without a GPS lock, it will look for the GPS signal while flying. When the signal is found the V303 flies smoothly. The V303 is picking up GPS signal once it flashes green. It is possible to release the stick and find the V303 maintaining its flight position. Testing the return-to-home function, the indicator turns red while the Seeker takes the shortest route back to the home position, landing gently then automatically turns the motor off. The V303 Seeker’s “home” is about 2 meters off the starting point. Because of the foam-like material on the landing gear might actually cause the V303 to trip over. The V303 from WL Toys is easy to operate and has a lot of power to lift a Go-Pro camera including a brushless gimbal. The 303 has a ZeroUAV professional flight control. It is fitted with a GPS and compass flight modes. The attached GoPro camera takes good videos. On the other hand, the V303 has not spare blades; the landing foam causes the V303 to tip over. There is also no envelope protection. WK Toys’ V303 works as advertised. It has a string of possible upgrades in the future to make this quadcopter more fun and useful to fly. It is easy to fly more so for those who has had experience handling quadcopters. 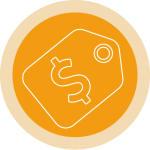 It is quite expensive but definitely worth the price.